If you’ve still yet to experience a food-themed race, now’s your chance. MKE has two delicious races in the next two weeks. Whether you crave sweet or salty, these races have you covered! 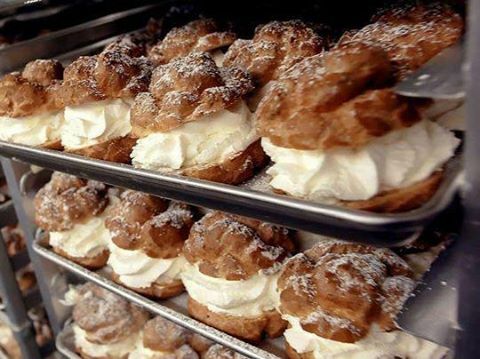 The Dish: Participants will receive the first Original Cream Puffs of the year as well as a post-race beverage of choice (beer, soda or water). There will also be pre-race entertainment by the Milwaukee Airwaves as well as post-race music from The Love Monkeys! In addition, participants will receive one ticket to this year’s Wisconsin State Fair, a Cream Puff 5k t-shirt and a finisher’s ribbon. 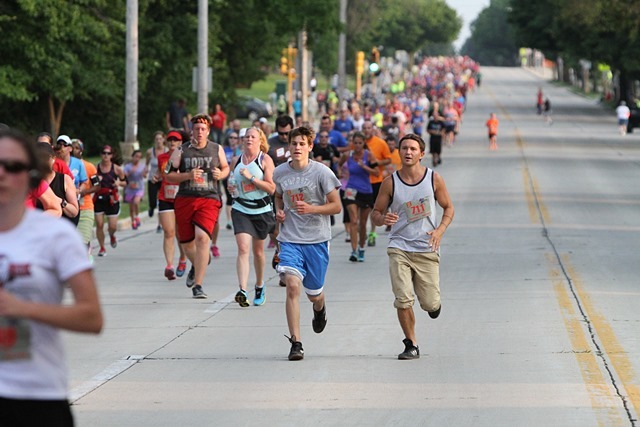 The 5K course includes the famous Milwaukee Mile Speedway and streets within State Fair Park. The event is both kid- and stroller-friendly. There is also a 1K option for those who prefer a shorter route. Water will be available at multiple locations throughout the race. Registration is $35 for adults up until race day, and $40 the day of the race. The Dish: This race is all about bacon with a mid-race bacon station and post-race Bacon Bash, which includes plenty of delicious bacon treats and a free beverage from Sprecher. There will also be pre- and post-race music from Big Shoes! In addition, participants receive a race t-shirt and goody bag. 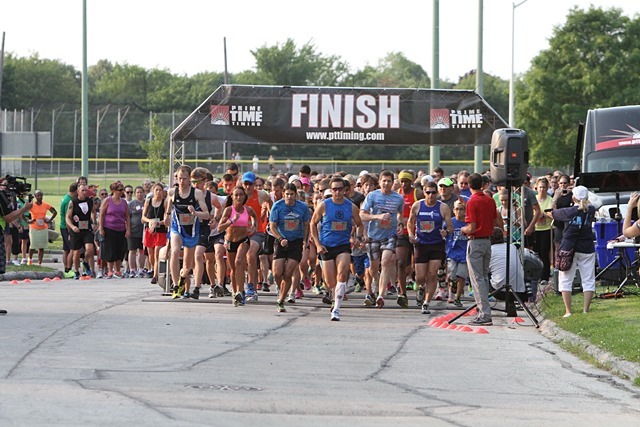 The fast 5k course weaves around Sheridan Park and the surrounding area. There is also a 0k distance available for those who wish to participate in all the bacon festivities without running or walking a 5k! Registration is $40 for the 5k until race day and $45 the day of the race. The 0k is $30 until July 28 and $35 the day of the race. Who’s hungry for a good race? Tell us if you’re racing the Cream Puff 5k or Race for the Bacon! If you love bacon as much as we do, this race is for you. Race for the Bacon is back for a 5th year and registration opens today! We recently chatted with Race Director/Boss Hog Chris Ponteri about this year’s race. Read on to learn more about the course, the mid-race bacon station and the best way to eat a piece of bacon on the run! 2016 marks the 5th year Milwaukee has raced for bacon – why is this such a popular event? What’s happening at this year’s event? Will there be anything new or different to mark the event’s 5th birthday? Wow, 5 years already! Everything will be business as usual this year. You hate to tinker with a format that works so well. Last year we added the 0k race, but this year will look very similar to last: lots of bacon. Can you tell us about this year’s course? Are there any changes from last year? The course will be identical to last year’s. We will start on Sheridan Drive again, then go on Lake Drive, and back through the park to the finish. Will the race have a mid-race bacon station again? If so, do runners have to eat a piece of bacon to qualify for awards? Yes, the bacon station will be back. There is no requirement to eat a piece (or six) during the race, but it has seemed to help the faster runners stay fueled down the stretch so I think everyone should try it. Do you have any tips for grabbing and eating a piece of bacon during the race? Savor it; do not try to swallow it whole. Last year the race introduced the 0K – will this be part of the event again? Yes, the 0k will be back. This was started as a fun way for non-runners to attend the post-race Bacon Bash without having the complete a 5k. I think we had about 50 people do it. They also get one of our cool shirts. What’s on the menu for this year’s Bacon Bash? Lots of bacon and other things that only taste good because they have bacon in them. Just for fun: What’s the Boss Hog’s favorite way to eat bacon? On a BLT sandwich without the tomato, lettuce or bread. Thanks for chatting with us, Chris! Who will we see at this year’s Race for the Bacon? And, who’s planning to eat a piece of bacon – or two or three – mid race? Race for the Bacon Giveaway Winner! Happy Hump Day! Today, we have an exciting announcement – the winner of the Race for the Bacon race entry giveaway! The winner is … Maggie Menard-Mueller! Please email us within the next 48 hours at keeprunningmke@gmail.com to claim your prize. Peanut butter & jelly. Salt & pepper. Runners & bacon. You won’t want to miss out on this year’s Race for the Bacon – which is quickly becoming the most popular MKE summer race. Below, Boss Hog tells us all about this year’s event, including the new 0k race. Race for the Bacon turns four this year – can you talk a bit about what makes this one a favorite for Milwaukee runners? This has to be considered one of the best races of the summer. It brings together running and bacon, and also the setting is perfect for an event like this. It’s a celebration of running and bacon! It will be more of the same: a fun race in a nice park setting and some great food, beverages and live music at the finish. Can you tell us about this year’s course? The course is a combination of streets and parkway. The highlight is going down Lake Drive in Cudahy; it’s such a beautiful street. Runners also get to experience the beauty of Sheridan Park right along Lake Michigan. It’s mostly a flat course with a few rolling hills, but definitely not difficult. Will the race have a mid-race bacon station again? Any tips for grabbing and eating a piece of bacon without breaking stride? Yes, the bacon station will be back! One thing I have noticed is that the fastest runners always manage to grab a piece of bacon and get it down without slowing their pace. I figure if they can do it, anyone can. We make sure to place the water table after the bacon table so if you need something to wash down your bacon, it’s right there. Are there any top contenders yet for overall male and female? What are the prizes for placing overall? I am not sure who the top runners will be this year, but we usually get a few of the faster ones from the Milwaukee area. The top three male and female finishers will get a cool plaque, but even better, they get to take home a bunch of Patrick Cudahy bacon. New this year is the 0k race – can you tell us a bit about it? The 0k race was designed for those who want the post-race bacon and the cool shirt we always give out, but don’t want to run a 5k. We will have some type of start/finish for these people and then send them over to the bacon tent. It’s the first 0k race that I know of in the Milwaukee area and probably one of the only in the country. 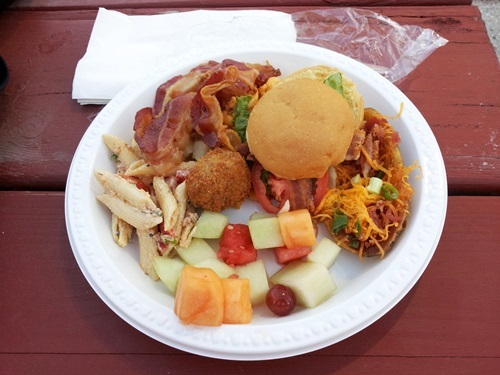 What’s on the menu at this year’s Bacon Bash? The menu is somewhat of a secret, but I can tell you that Chef Ernie at Skyline Catering has some treats in store. It will be every bit as delicious as last year. Is race day registration offered? Also, can Bacon Bash tickets be purchased on race day? Yes, people can register at the race although pre-registration is recommended to guarantee a shirt. Tickets for the Bacon Bash will also be available at the door. If you could pick any local celebrity to come run Race for the Bacon, who would you pick and why? I would love to see the ghost of Patrick Cudahy participate in the Bacon Race. After all, he founded the City of Cudahy and the bacon company. MKE Runners – who wants to win a race entry to this year’s Race for the Bacon?? If you could run Race for the Bacon with anyone, who would you pick? Best of luck to all who enter. We’ll announce the winner on Wednesday, June 24. There’s fast and then there’s FAST. And Nick Szczech definitely belongs in the FAST category. 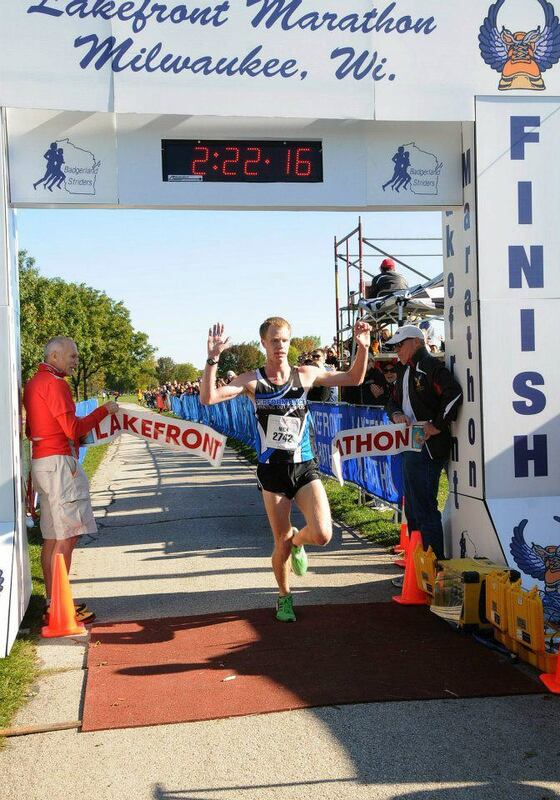 The 25-year-old Milwaukee native already has a marathon win under his belt (Lakefront Marathon 2011 – his marathon debut!) and is looking to shave a few minutes off that time to qualify for the Olympic Marathon Trials. We recently chatted with Nick to learn more about his training, favorite workouts and goals for the next few years. I was always one of the fastest on my grade school soccer team, and I decided to switch up my choice of sport at Thomas More, running cross country instead of soccer. I definitely have a “type-A” personality, so running and training structures my day. I also love the camaraderie of races and the mental toughness you develop through the training. I also feel flat and sluggish when I am not running, so it helps me clear my head. While training for 10Ks and longer races, I usually run between 75-95 miles per week with a weekly long run where I attempt to negative split the second half of the run, some short hill sprints for strength and power, lots of medium-paced runs, and one workout (usually a long tempo or repeat intervals). Do you have any key workouts that let you know you’re ready to race? I love doing progressive tempo runs, usually 10 miles, starting at 6:00 pace and decreasing 5-10 seconds every mile until I’m running 4:50 pace for the last few miles. I then know I have both the fitness and mental toughness to race anything from a 5k up to the marathon. 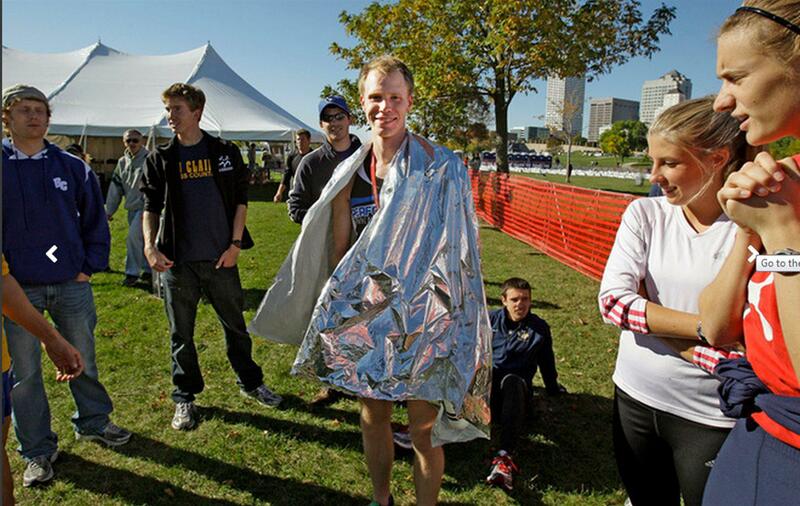 Can you tell us a bit about your first marathon – Lakefront Marathon 2011. What goals did you have going into the race? I had just finished running at Marquette, and during the spring of 2011, I ran a fairly fast 10k. I knew I had residual fitness from track training, so I wanted to utilize that to run a fast marathon. Life seems to get in the way if you wait too long to race marathons. I was very intimidated by the distance, but I usually set two goals when racing—a stretch goal and a realistic goal. My stretch goal was to run an Olympic Trials Qualifier (2:19 at the time), and the realistic one was to run somewhere in the 2:20s. The goal was to win and just get my feet wet with the distance. Looking back—I think I could have upped the mileage slightly and completed a few longer tempo runs, too. Otherwise, I was really happy with the race. Have you raced any marathons since your first? I have not raced any marathons since 2011. I was in Austin, Texas for graduate school, and I have had a few minor injuries that have set back my mileage build-ups in the last two years. You’re so close to the Olympic Trials Qualifying Time for the marathon distance. Are you looking to lower your time to meet the standard? I am looking to lower my time. I was thinking this fall/winter would be the target, but my build-up has been slower than I thought. I am hoping to use the winter to gain more fitness, so the goal is a spring marathon. I’m thinking Grandma’s or Green Bay. I hope to lower my best times in all distances from the 5k up to the marathon. My long-term goal is to qualify for the Olympic Trials in the marathon. Additionally, I am the assistant coach at Shorewood High School for girls’ cross country and track. I hope to help the girls improve while also cultivating in them the same love of running I gained from my high school and college coaches. Do you have any advice for runners who want to improve their race times? Don’t be afraid to challenge yourself. The body has a remarkable ability to adapt and handle stress. Push the boundaries of your training. I think long runs, long hill repeats, strides and tempo runs are the best ways to increase race fitness. Al’s Run is my favorite Milwaukee race. I just ran the Race for the Bacon 5k, which was really fun, and the Lakefront Marathon (of course). I love starting at South Shore Park and heading south on the Oak Leaf, and I also love the trails in the Seminary Woods in Bay View as well as anywhere in Grant Park. There are plenty of soft surfaces. The (running) weather is great from March through November, and there are great resources for every ability level—Performance Running Outfitters, Badgerland Striders, and many, many more! The winter also makes us much tougher than runners from other regions. Thanks for chatting with us, Nick! 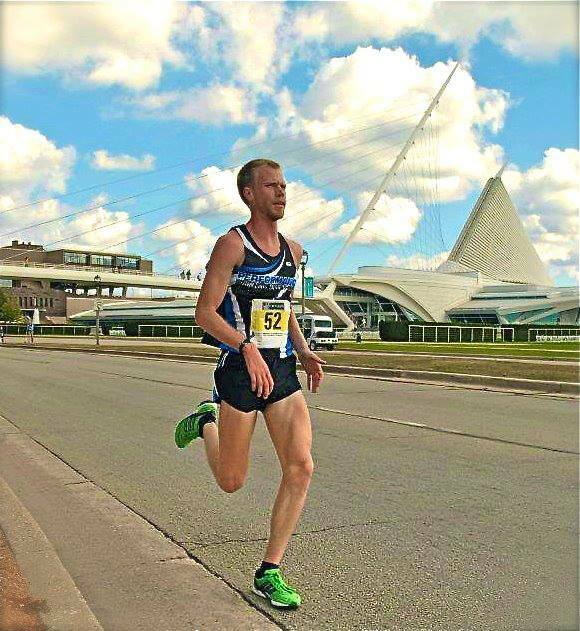 If you’re a runner in MKE, we’d love to hear your story. Send us an email at keeprunningmke@gmail.com if you’d like to be featured or know someone who should be featured in an upcoming Let’s Get to Know . . . post. Race for the Bacon – The Perfect Blend of Running & Good Eats! Run a few miles and eat a whole lot of bacon. Is there a better way to spend a summer evening? You don’t want to miss this Thursday’s Race for the Bacon. 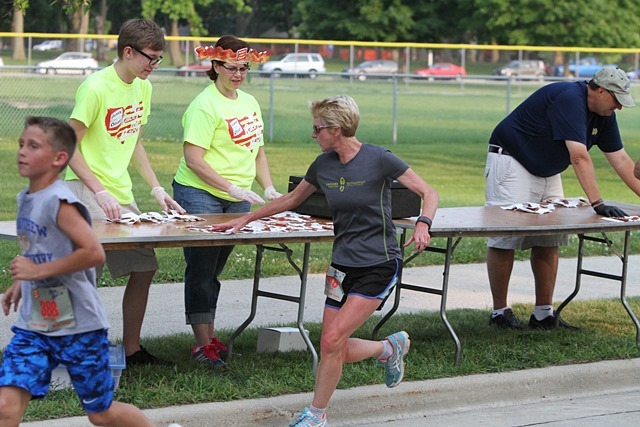 It’s the perfect combo of great running competition mixed with fun before, during (Bacon Station!) and after the race. For details about this year’s race, visit our Featured Races page. Race for the Bacon turns three this year – can you talk a bit about what makes this race special? It is a celebration of two of the greatest things in the world: running and bacon. Could there be a better combination? There will be a slight course change which will remove the out-and-back on the Oak Leaf Trail, but for the most part it will be the same. We really like Sheridan Park for an event like this. Do you have any helpful course tips for participants? Can you tell us a bit about the mid-race bacon station? Did many racers take advantage of it last year? 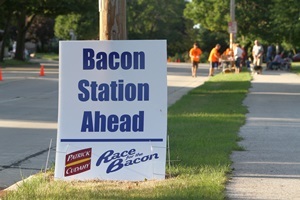 Although the bacon station was hugely popular, most of the top runners did not eat any. Let’s hope that changes this year. Who knows, one of these years we may decide that you can’t be eligible for awards unless you eat a piece of bacon. Nick Szczech and defending champion Matt Thull look to be the favorites for the men’s race. 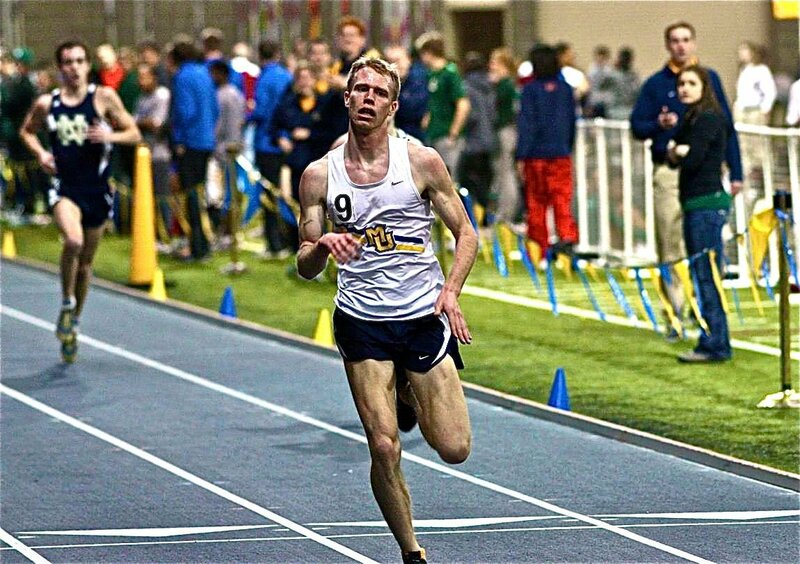 Both are incredibly talented runners, and Nick is a hometown favorite since he grew up in Cudahy. On the women’s side, I am not sure who will be the favorites. Last year we had four women under 20 minutes; it would be nice to have that kind of talent again. We have a new caterer (Skyline Catering) this year and expect a huge improvement in the food. There will be an excellent sandwich with Patrick Cudahy bacon and ham served on a roll made by Angelic Bakehouse. We will also have several other bacon goodies (including a chocolate chip cookie with bacon), Sprecher beer and root beer and bottled water from Pick n Save. We will have race-day registration for $40 and Bacon Bash tickets can be purchased for $15, all starting at 4:30 p.m. in Sheridan Park. New this year: a bacon-themed costume contest sponsored by BuyCostumes.com. Winner gets … bacon, of course! Many thanks to the Boss Hog for all the great race info! MKE runners – will we see you at the race?? Guess Who’s Bringing Home the Bacon? Hey everyone! We’re ready to announce who’s bringing home the bacon. The winner of the Race for the Bacon race entry is … heyjo1! Please email us within the next 48 hours at keeprunningmke@gmail.com to claim your prize. Thank you to everyone who participated! Remember, there’s still time to sign up for this year’s Race for the Bacon. The price is $35 til April 30 and then goes up to $40. Remember – race entries include a ticket to the post-race Bacon Bash + one drink! We have another race preview + giveaway coming your way later this week, so make sure to check back often to keep up with the latest and greatest in MKE running!